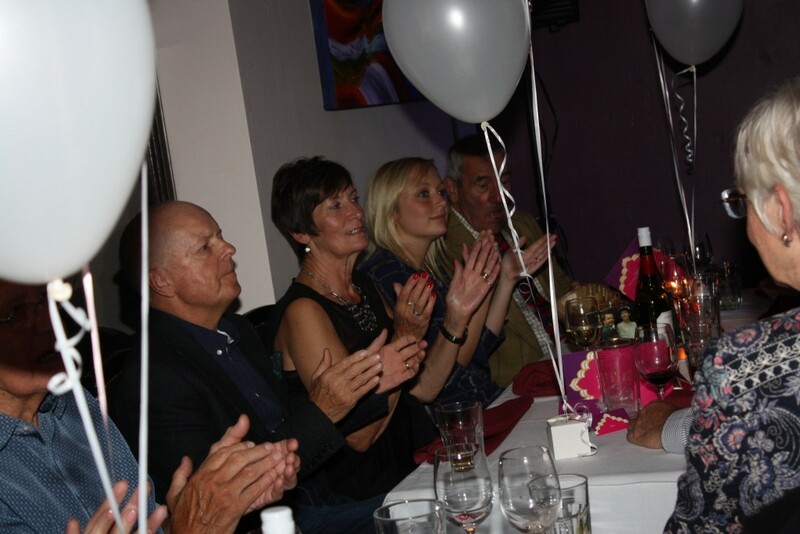 Thank you for a truly brilliant evening. 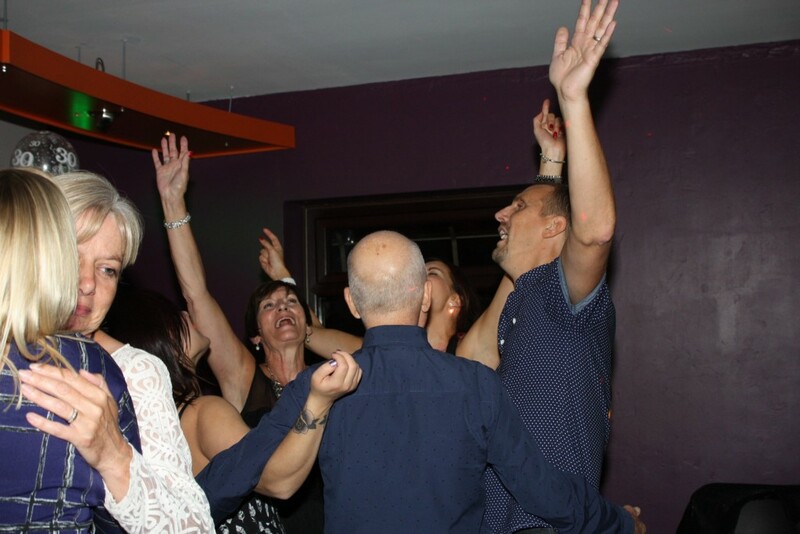 We all had such a fabulous time. 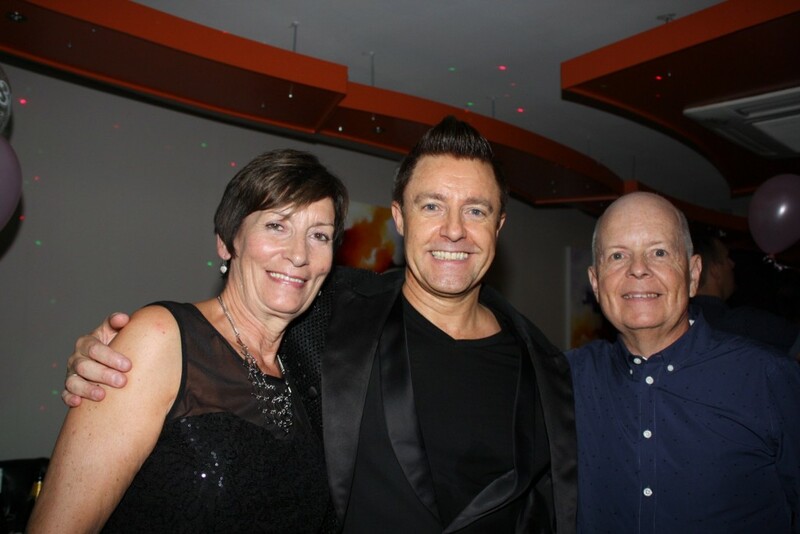 Thank you also for the photos - we have such a lot of memories to treasure. 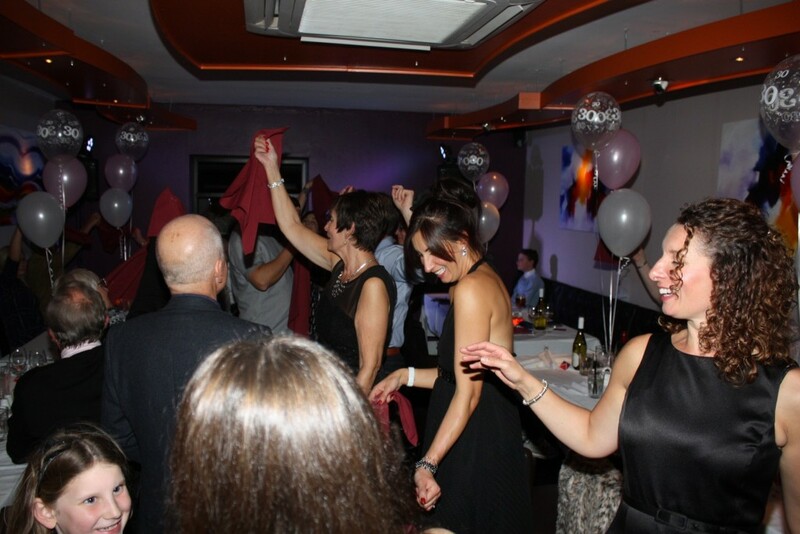 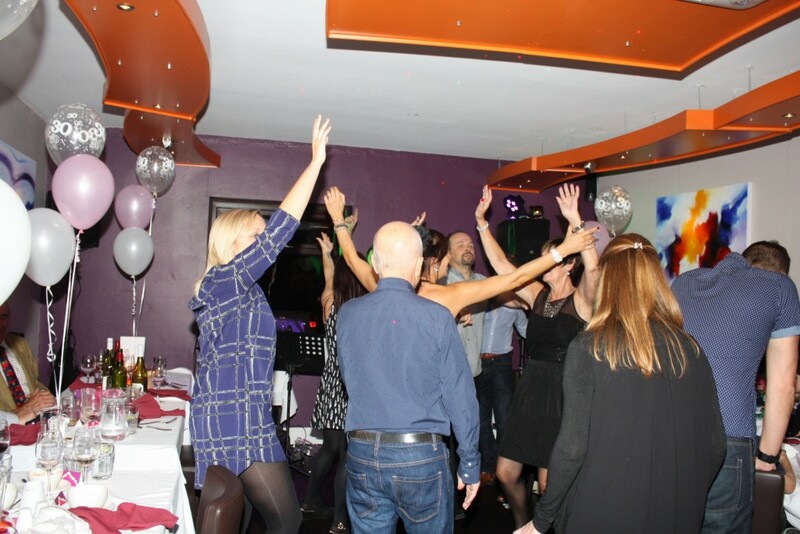 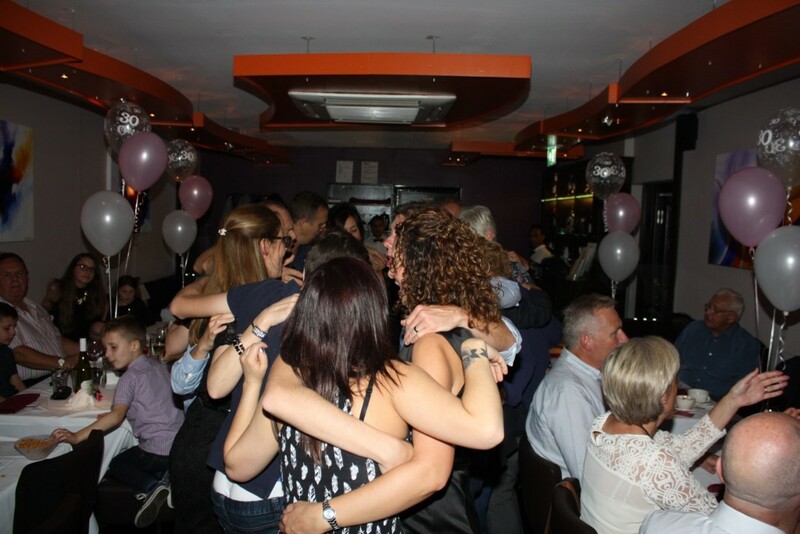 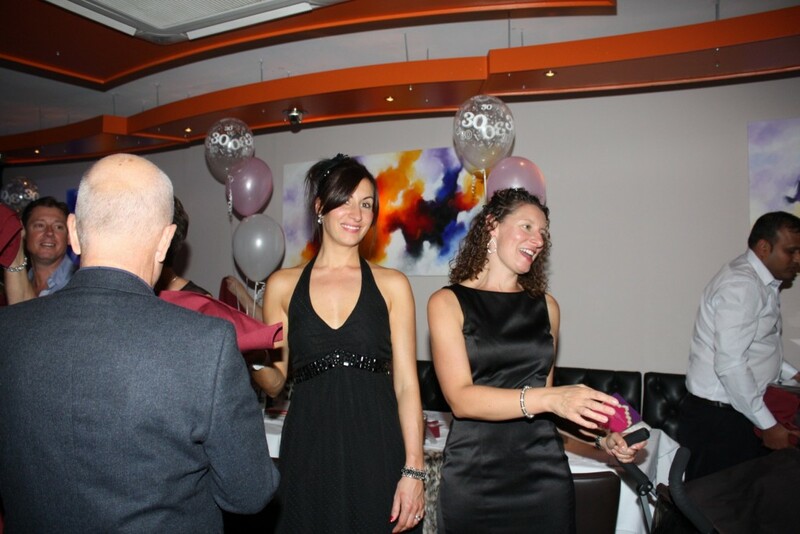 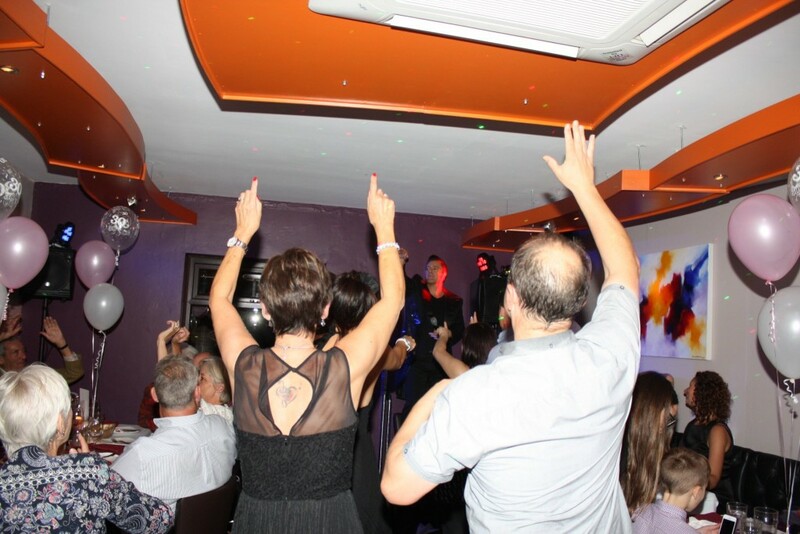 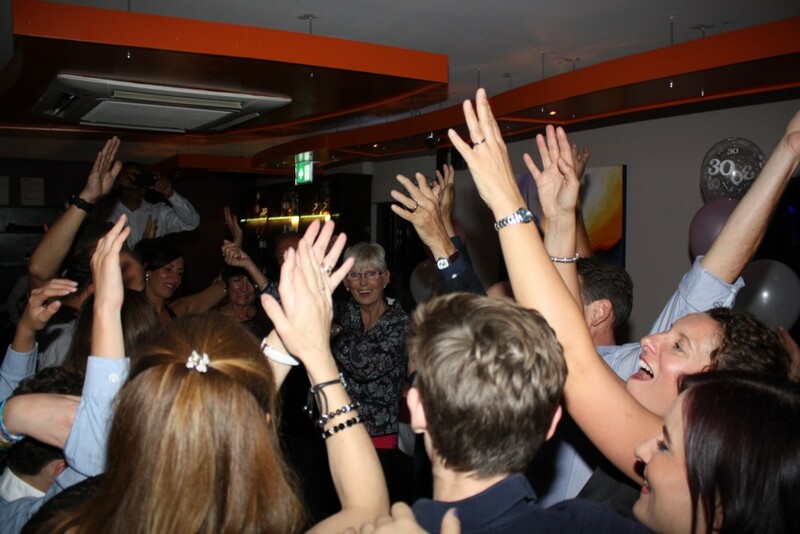 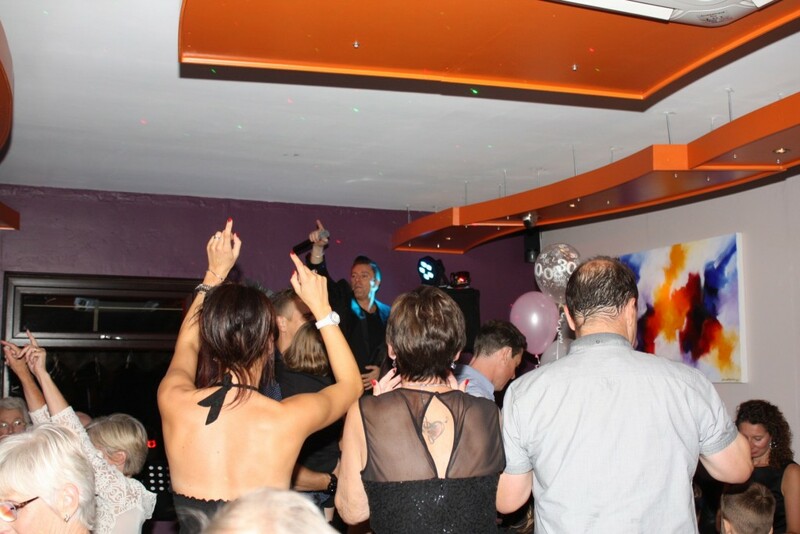 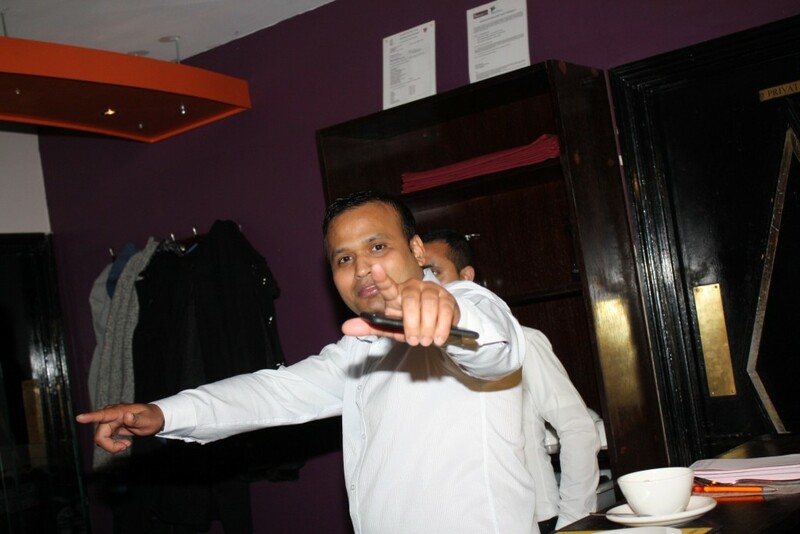 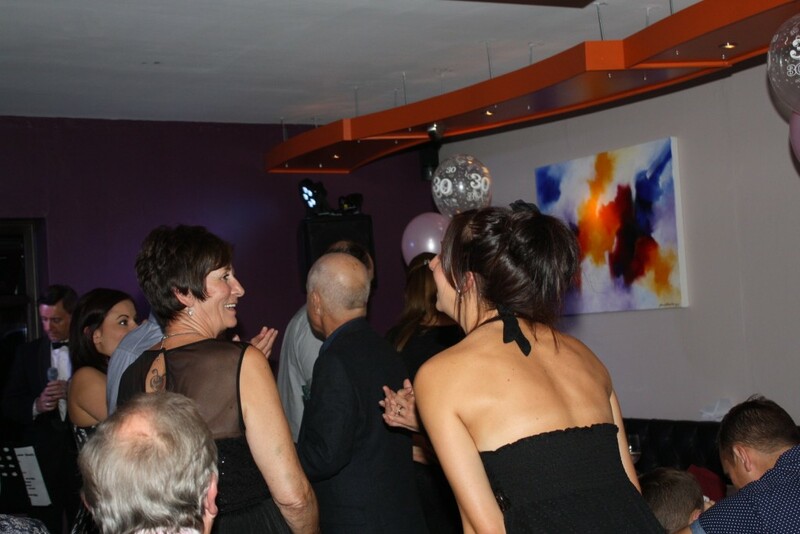 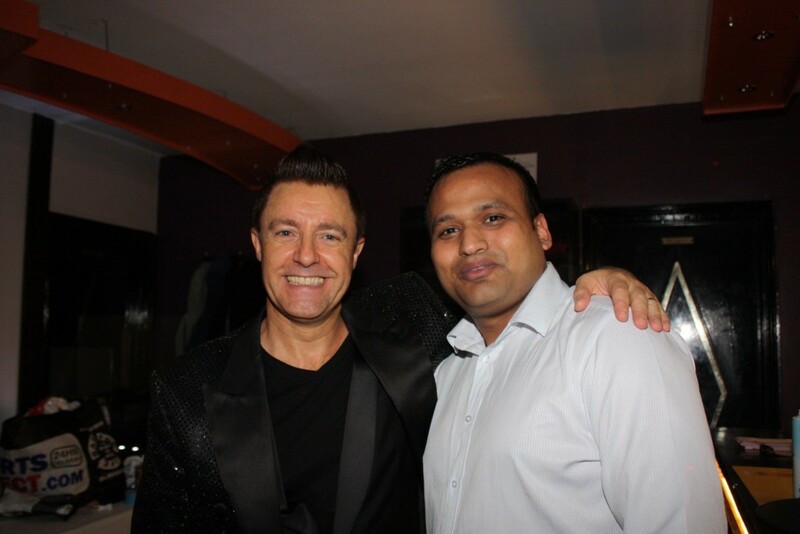 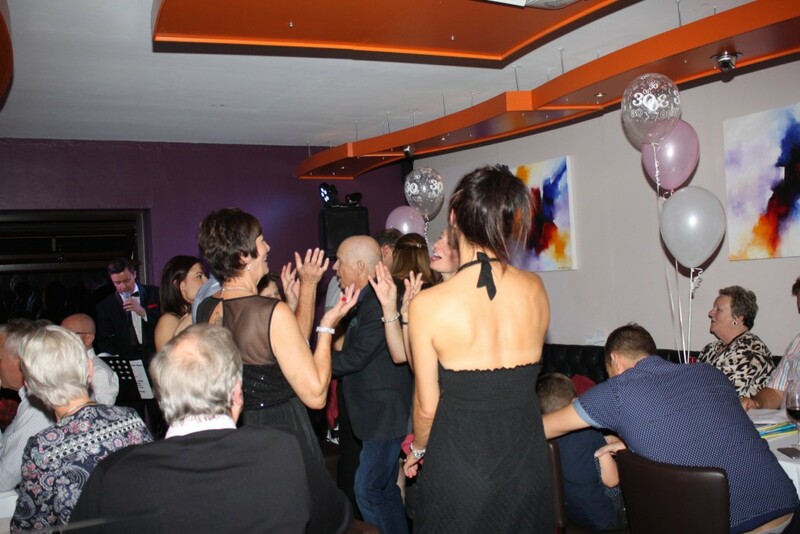 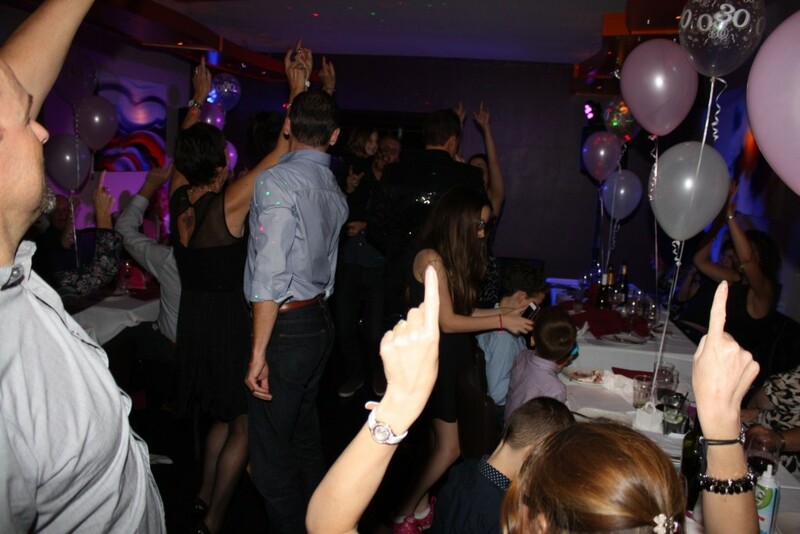 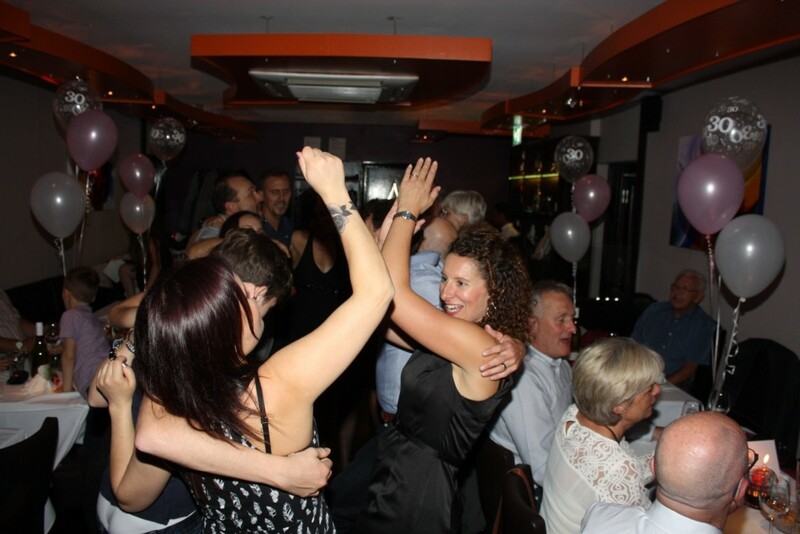 We would definitely recommend you and hope that we have another party soon when we can ask you to perform for us again. 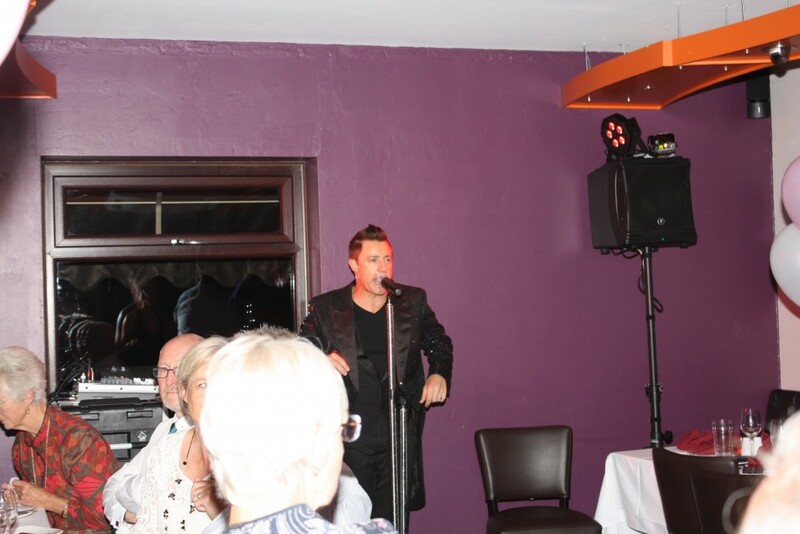 PS I can hardly speak today, I think I did a bit too much singing! 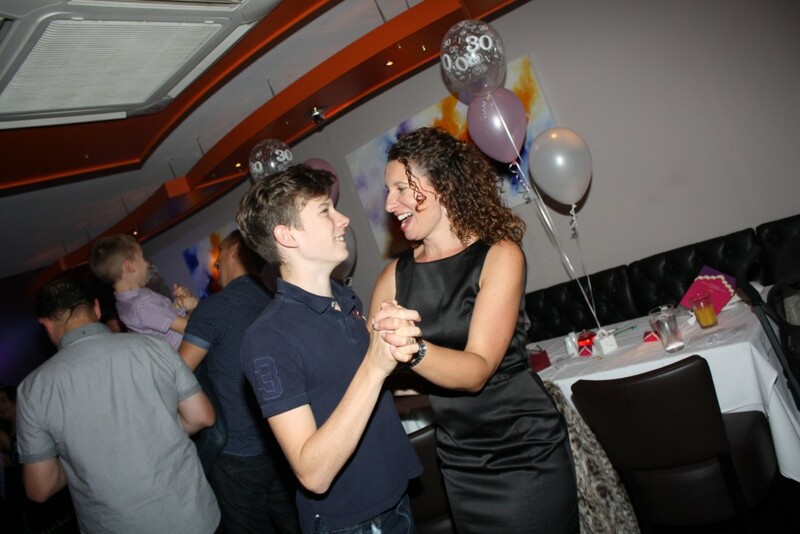 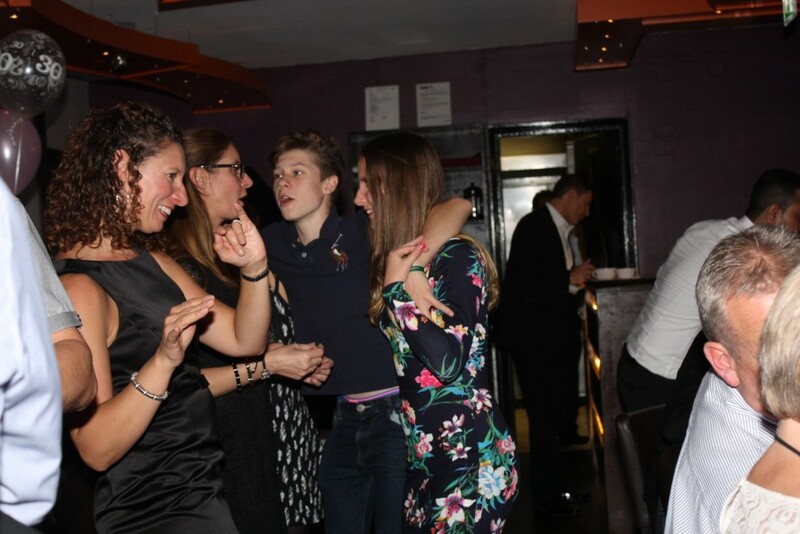 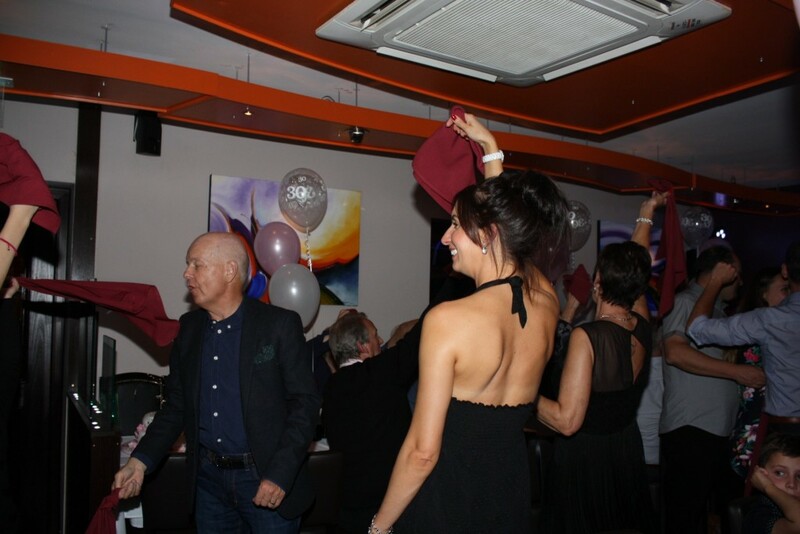 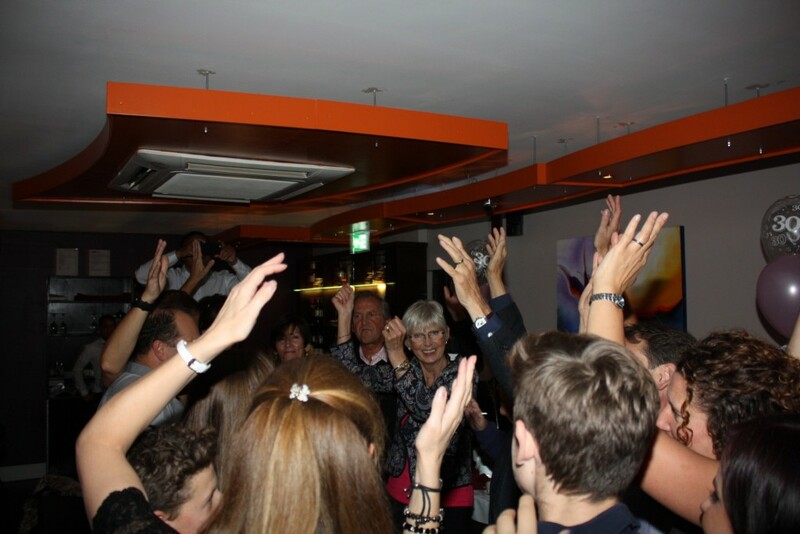 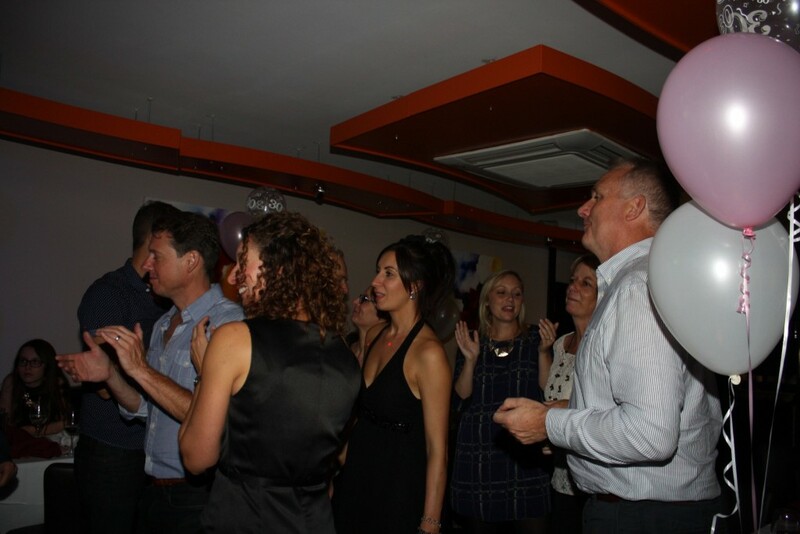 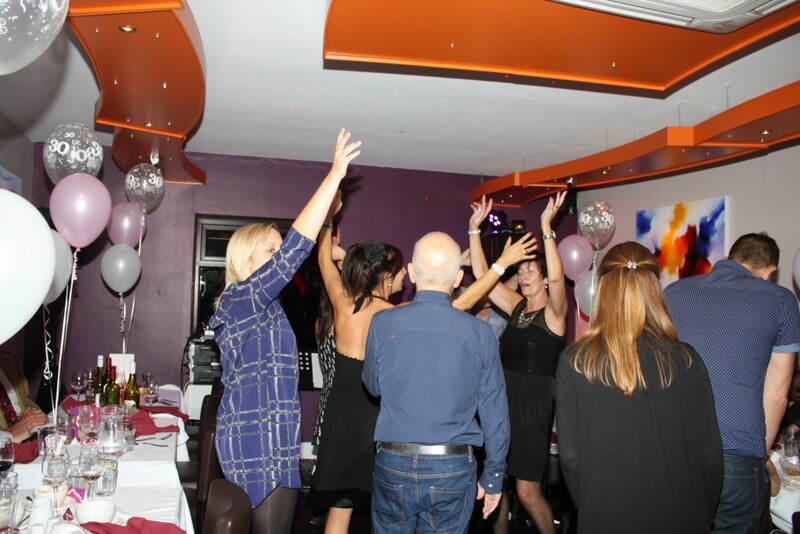 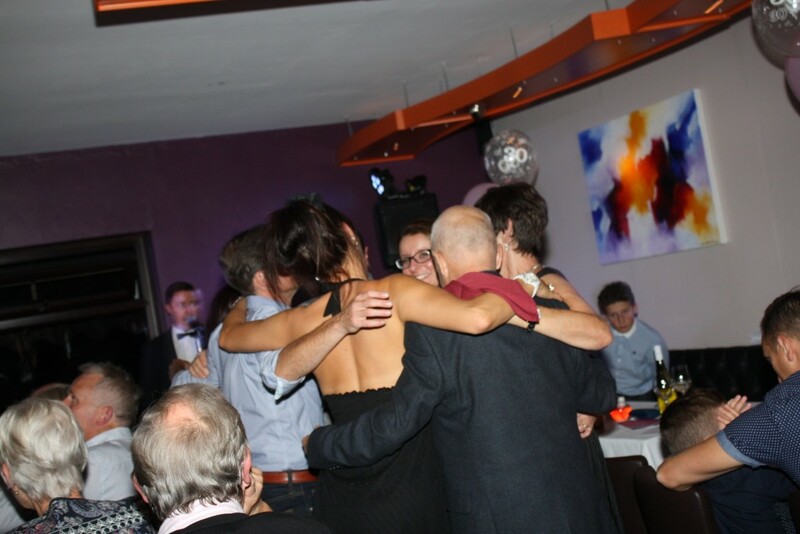 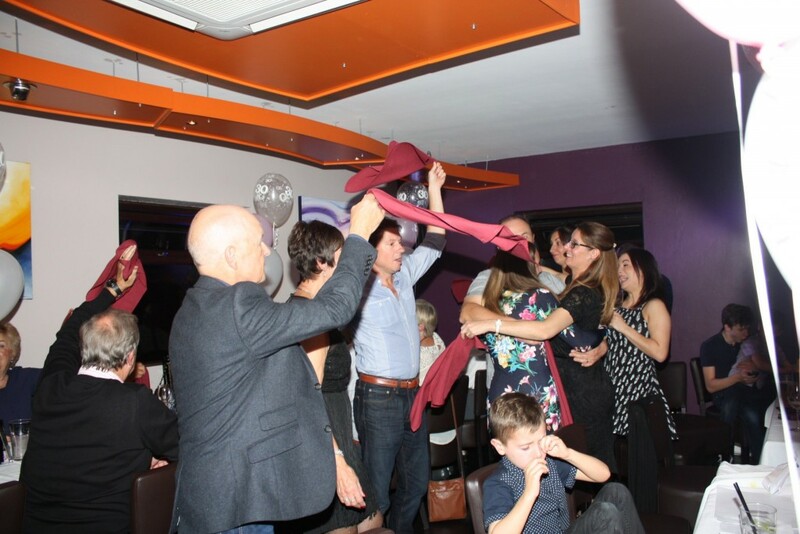 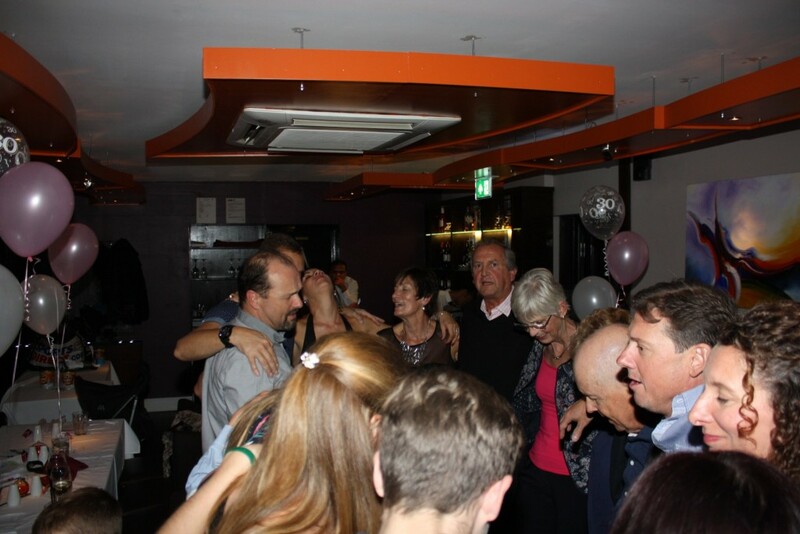 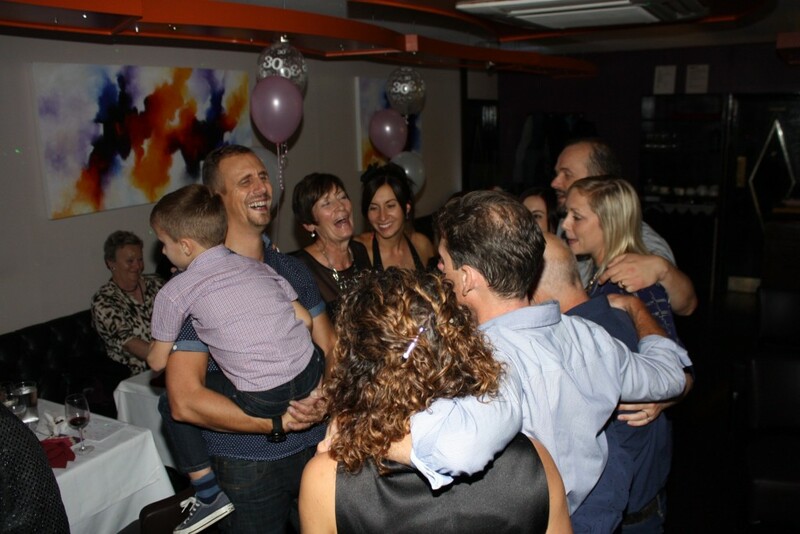 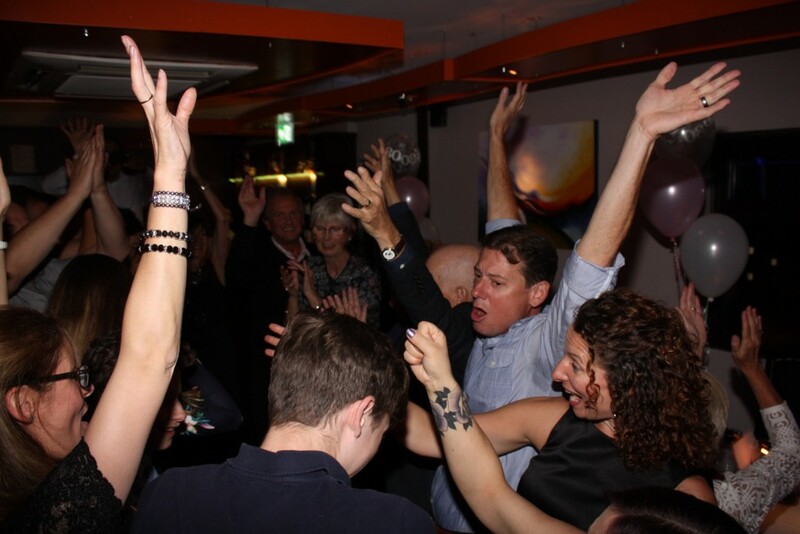 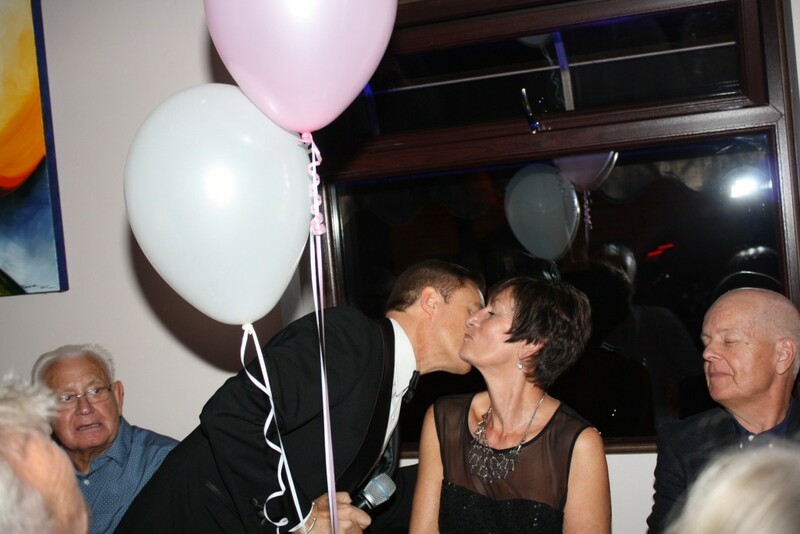 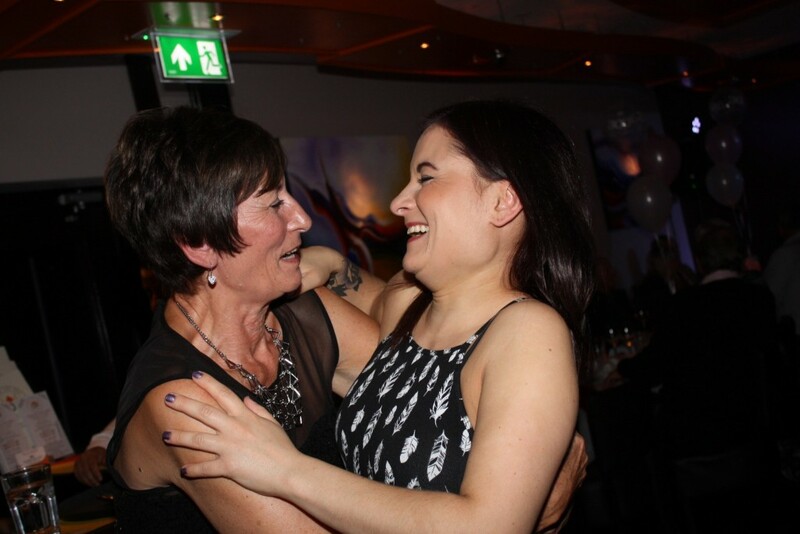 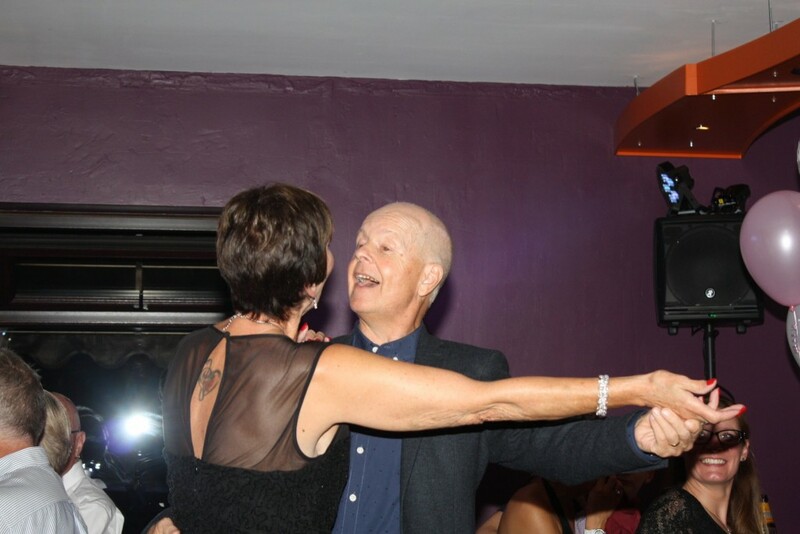 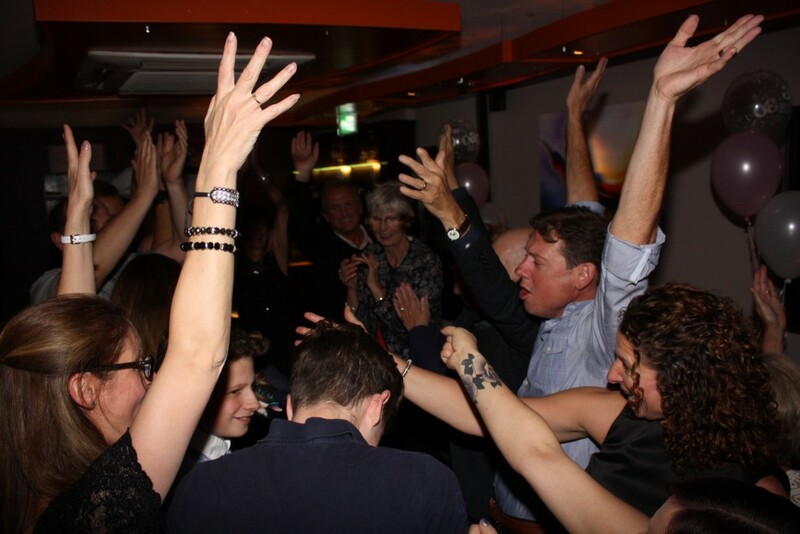 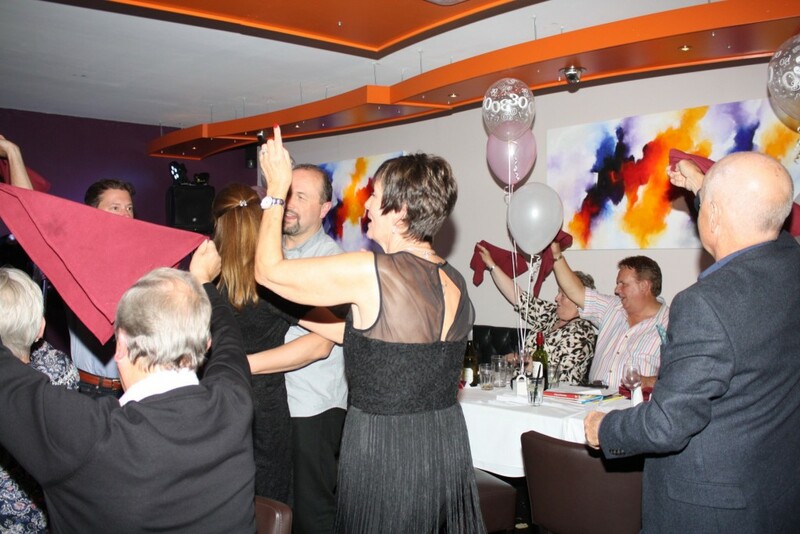 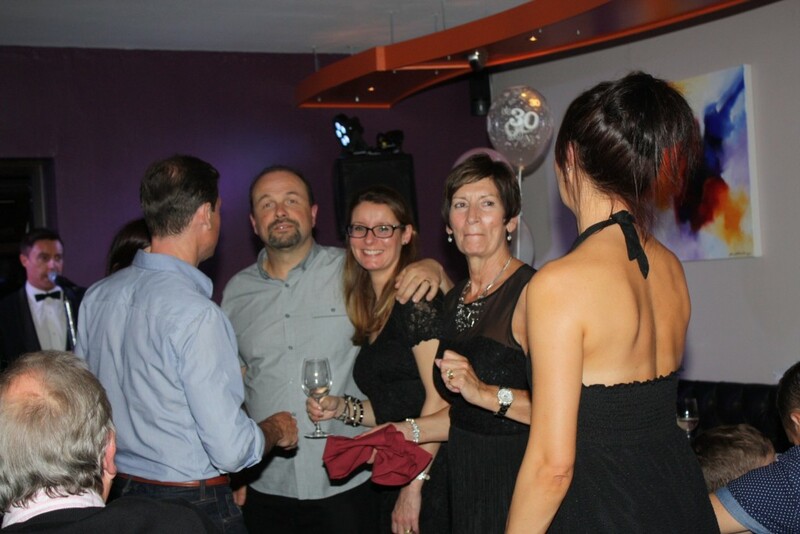 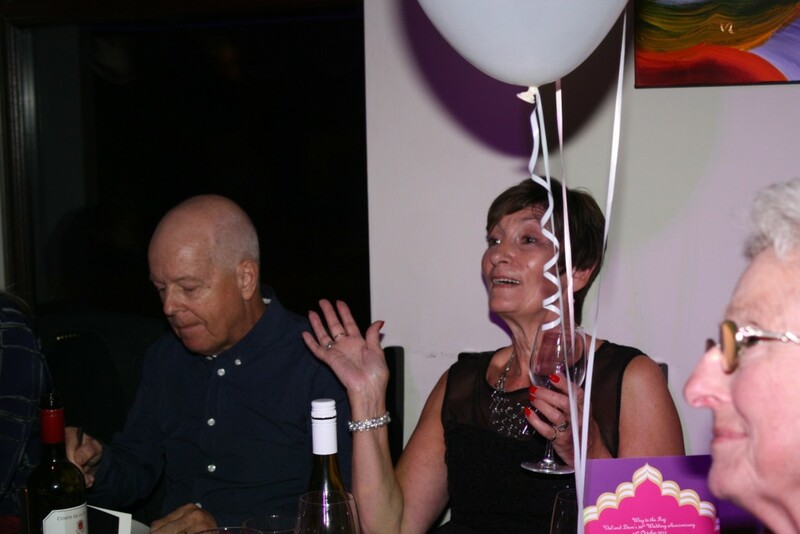 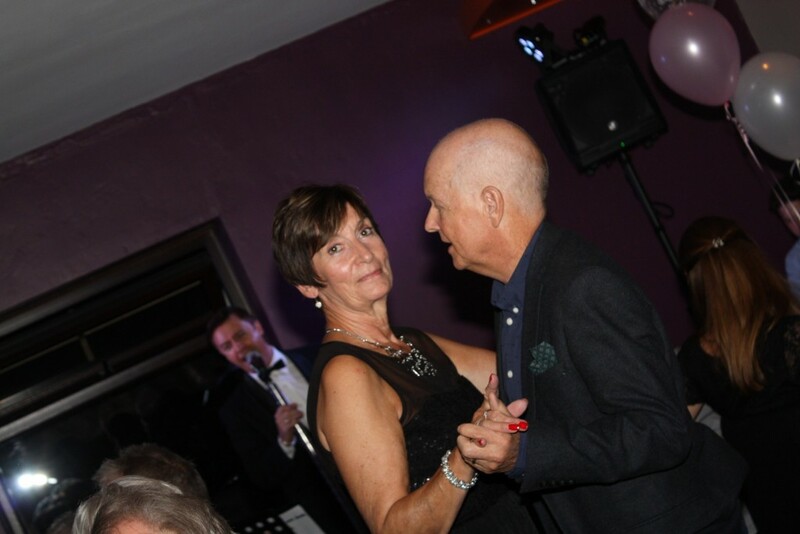 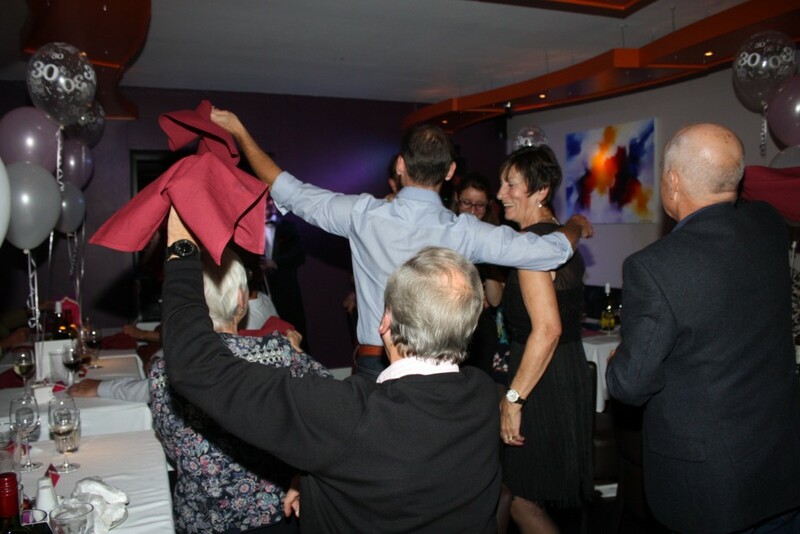 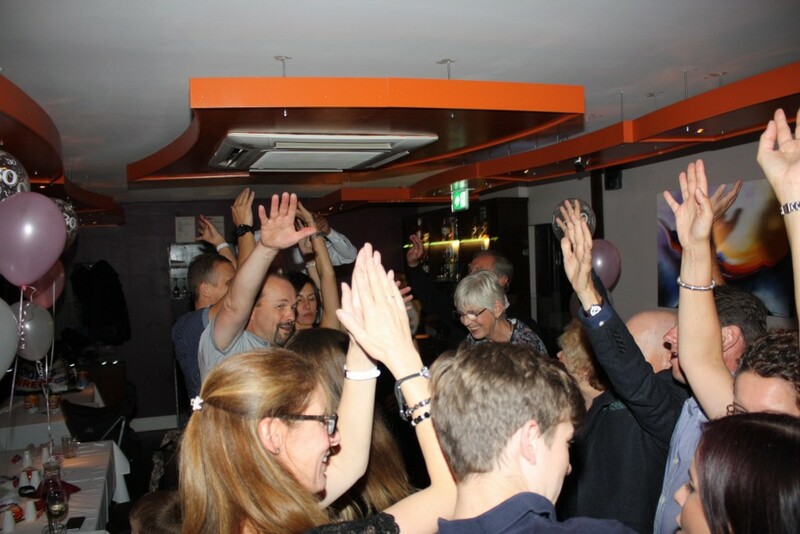 Val & Dave had an intimate dinner for their 30th Wedding Anniversary at the "Way to the Raj" Indian Restaurant in Colchester, Essex with their close friends and family. 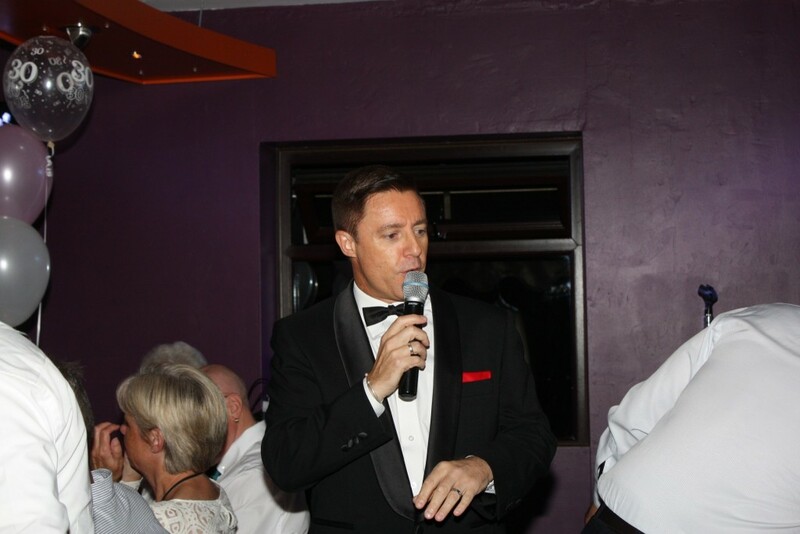 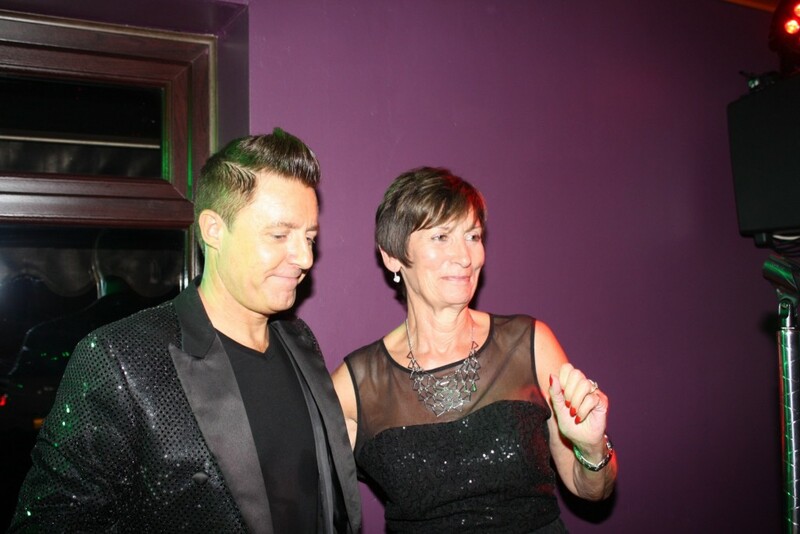 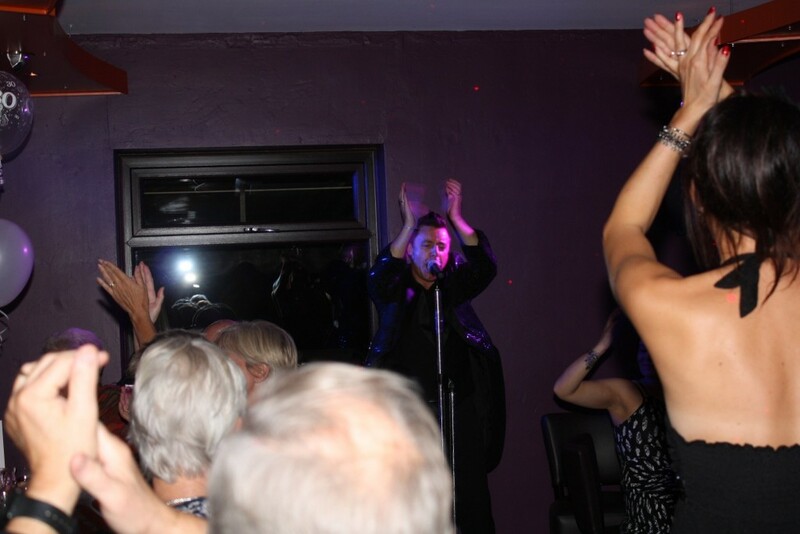 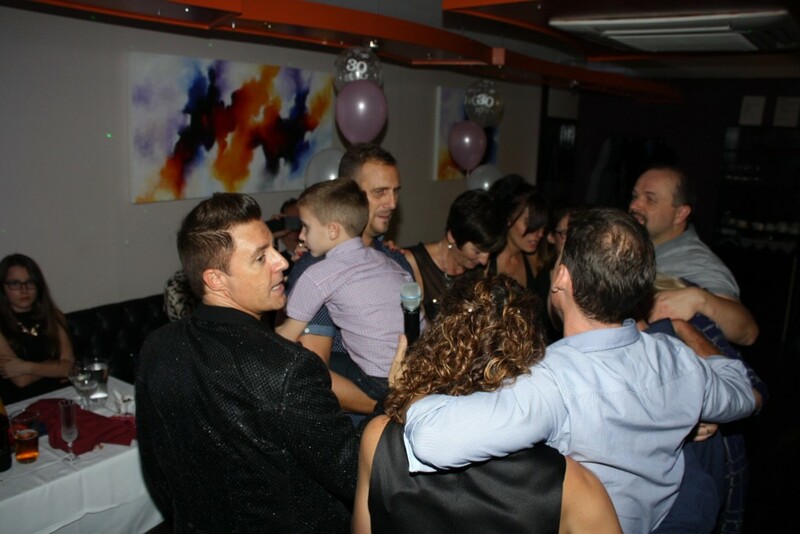 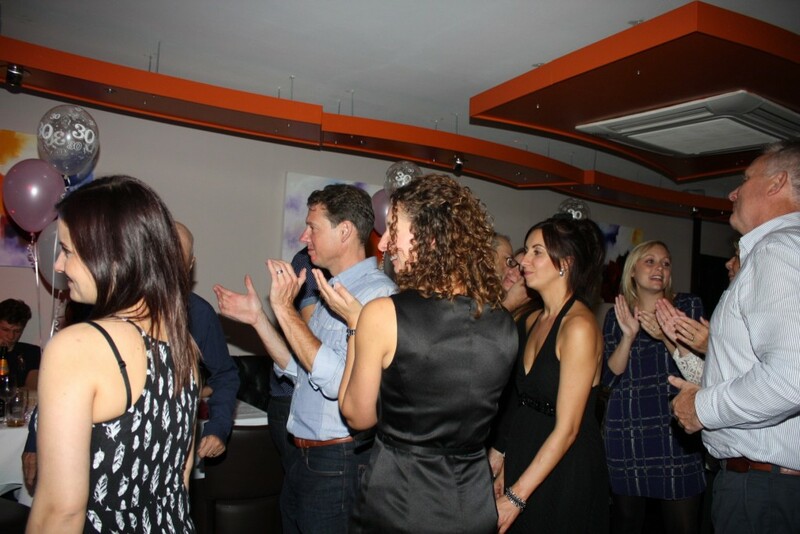 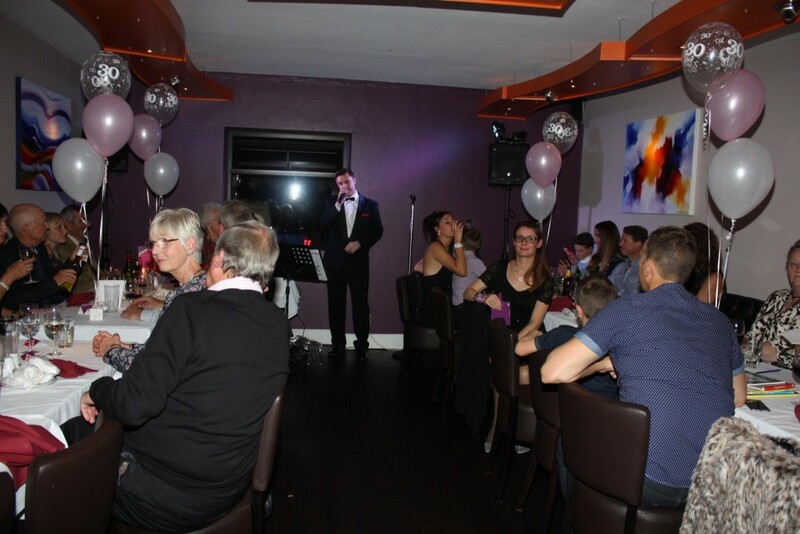 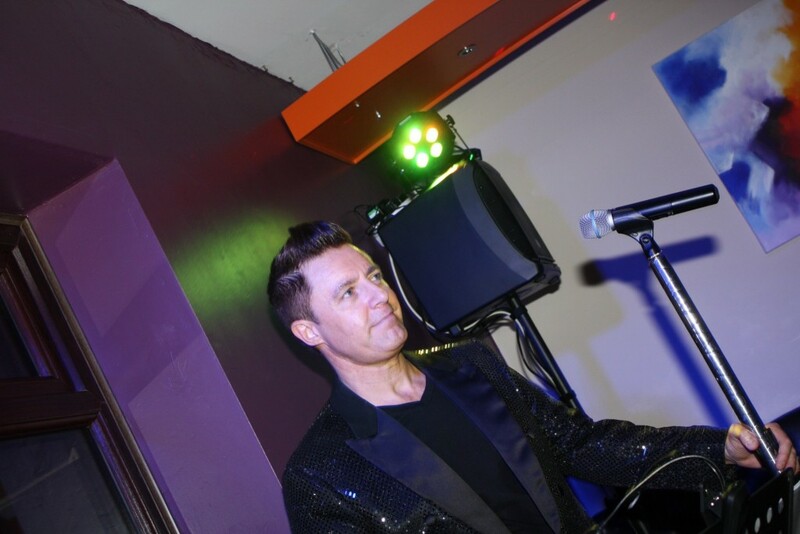 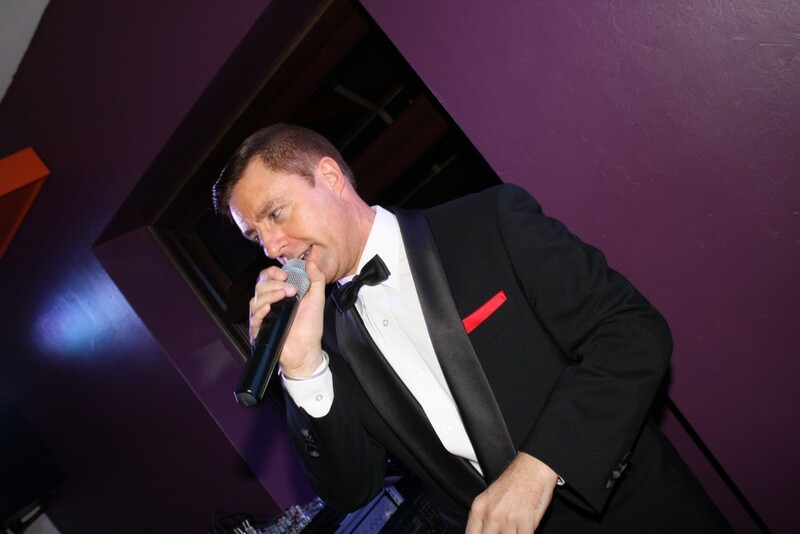 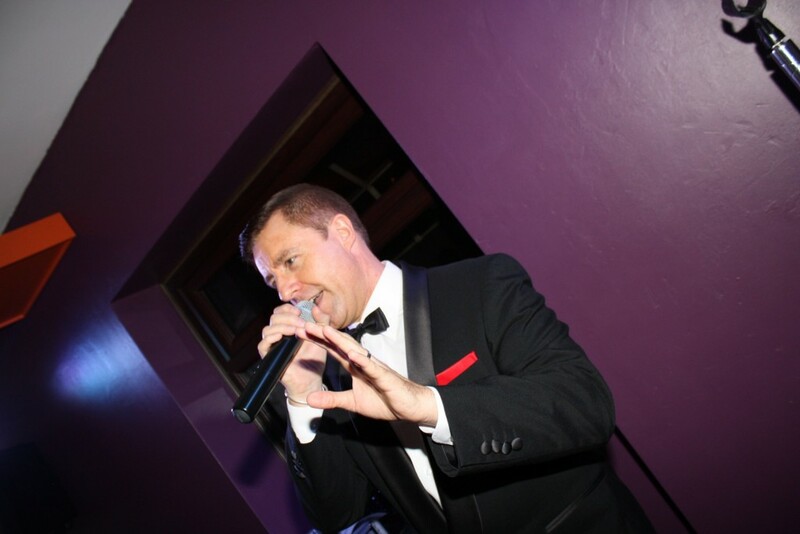 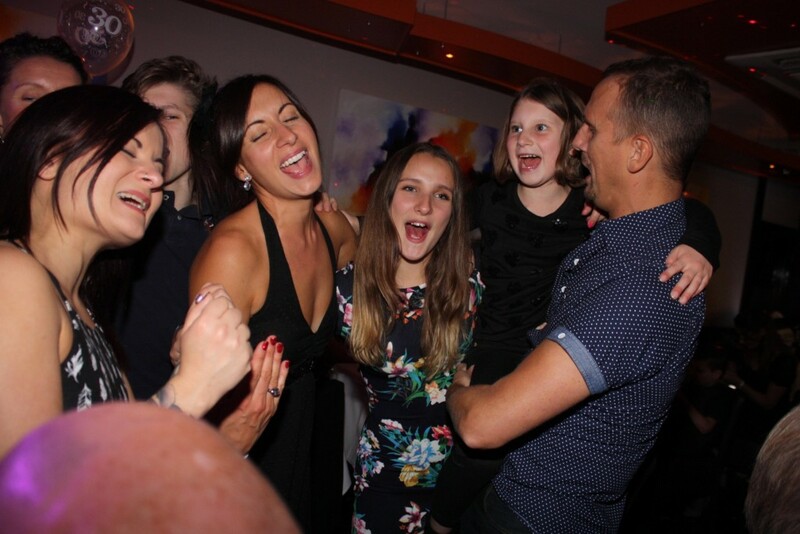 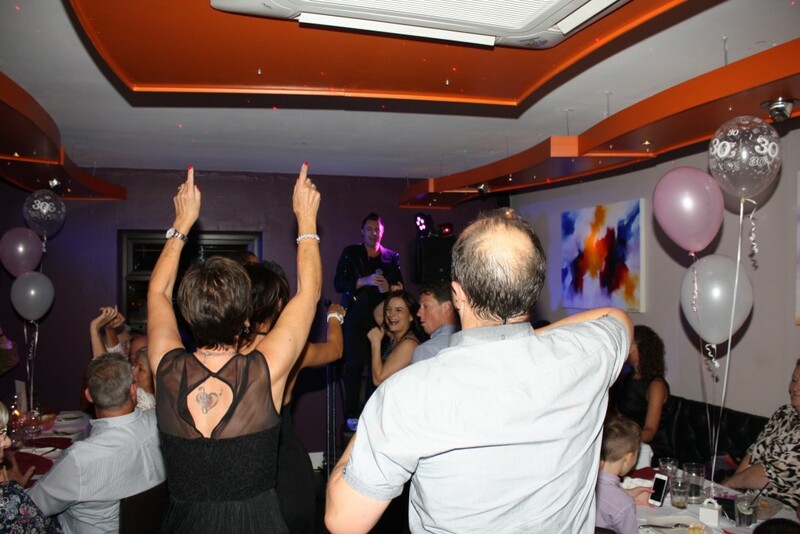 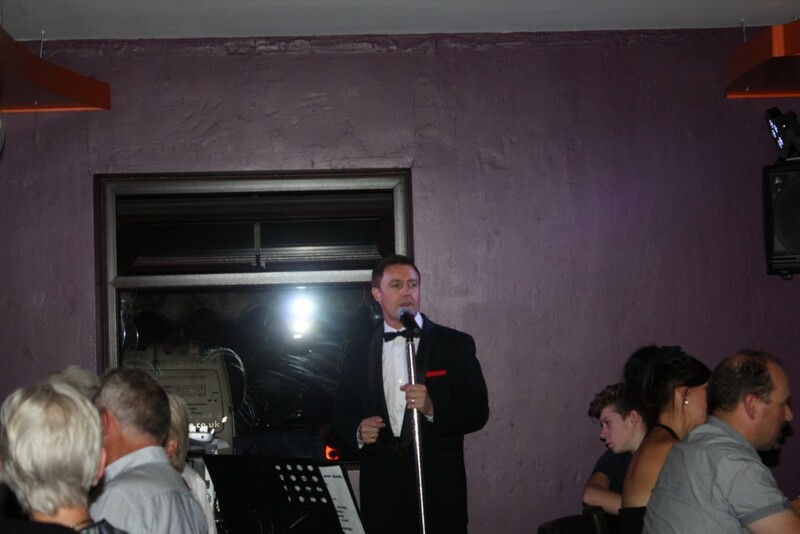 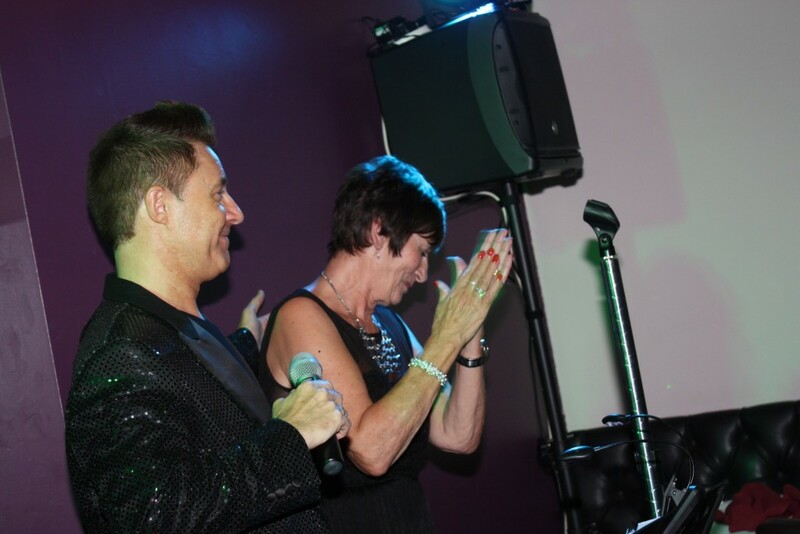 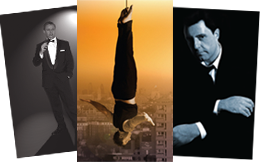 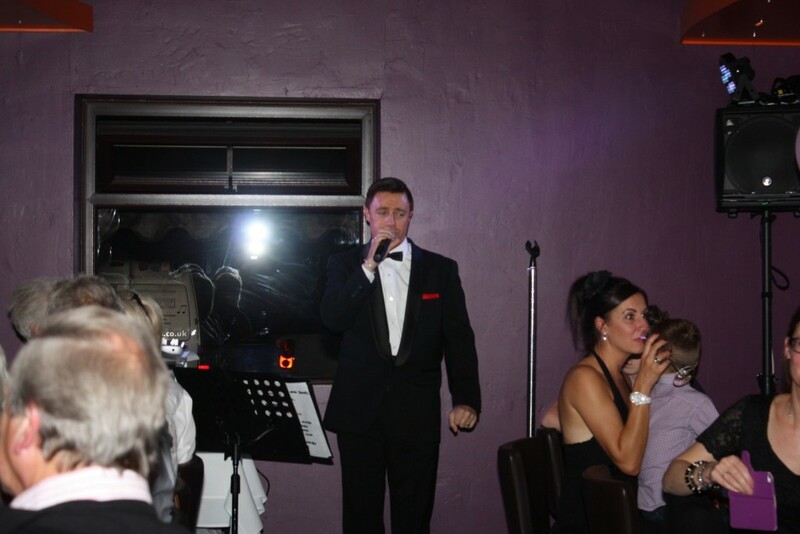 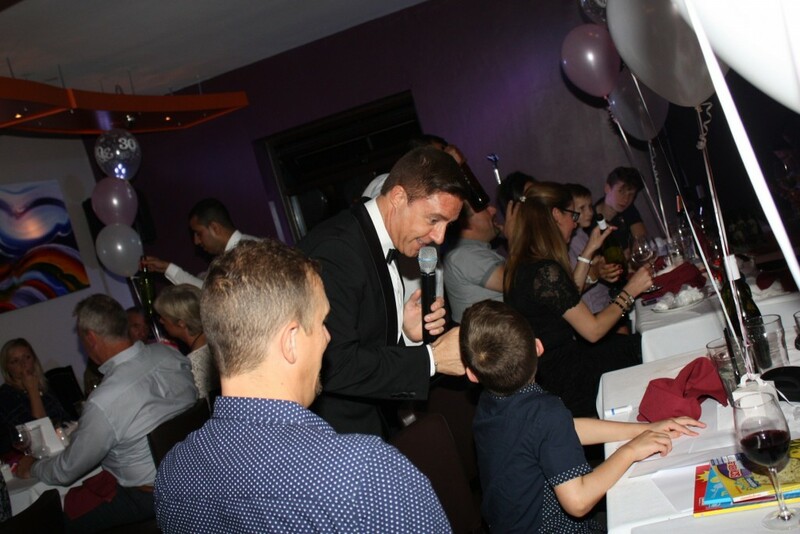 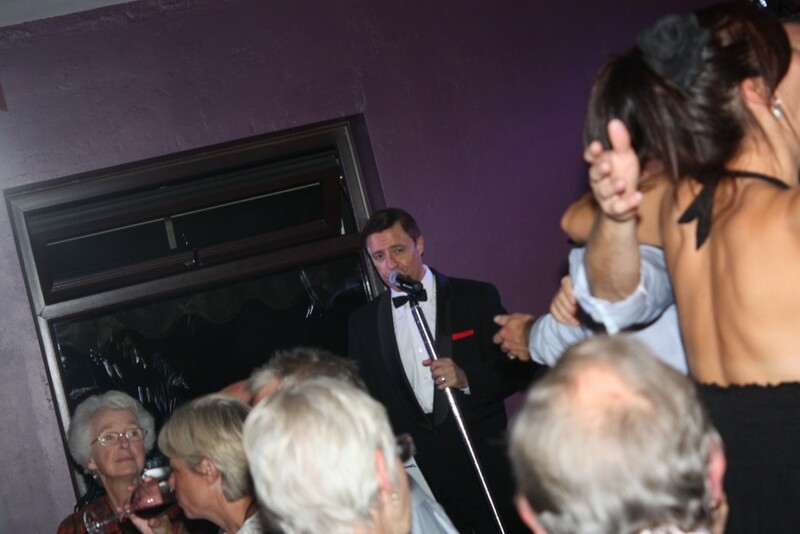 They hired Andy to perform his Rat Pack & Robbie Williams tribute shows, which was enjoyed by all the guests. 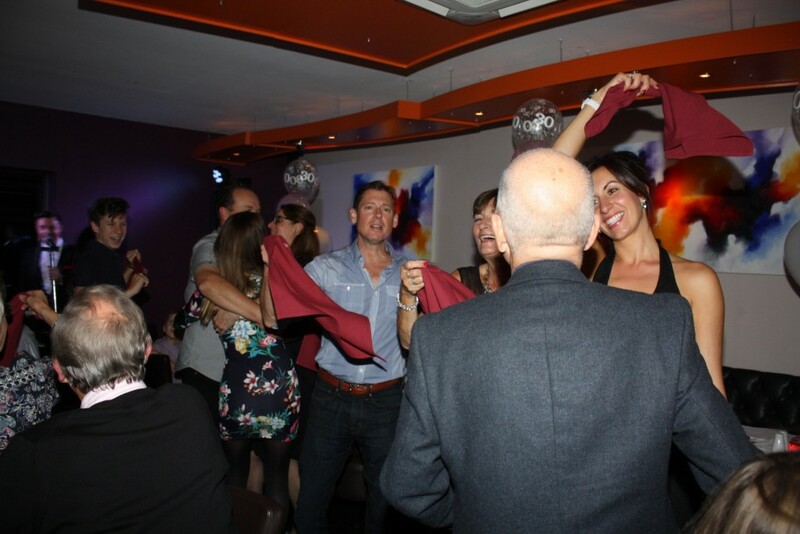 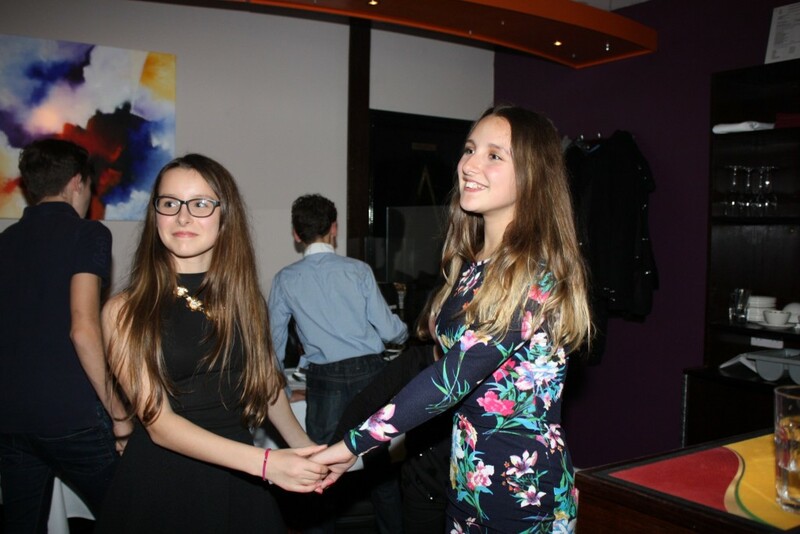 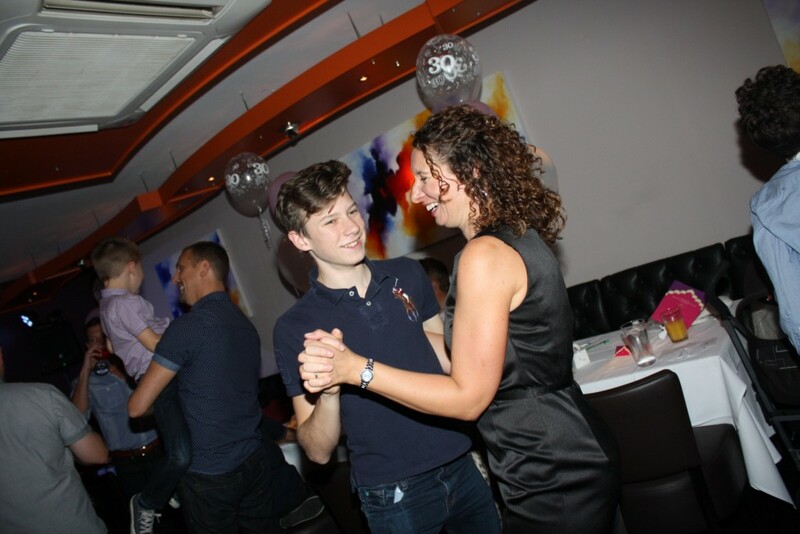 It was a brilliant night and I think this is reflected in the photos. 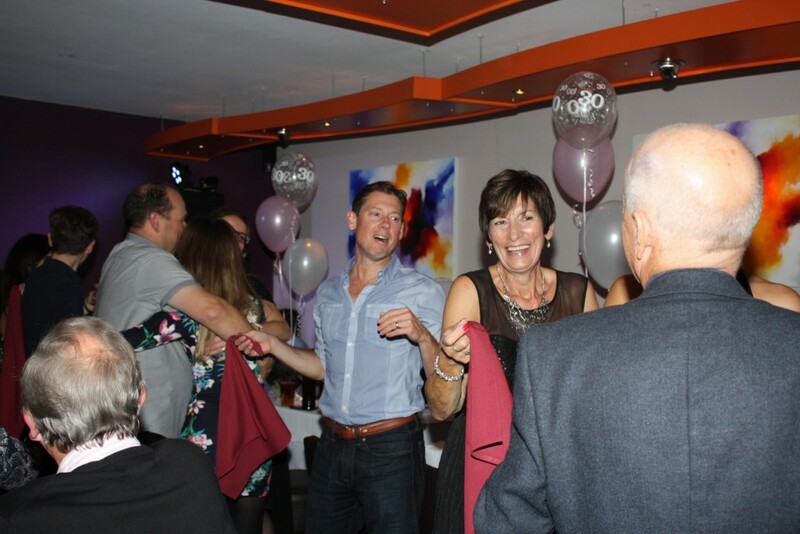 A lovely couple whose family were really friendly too! 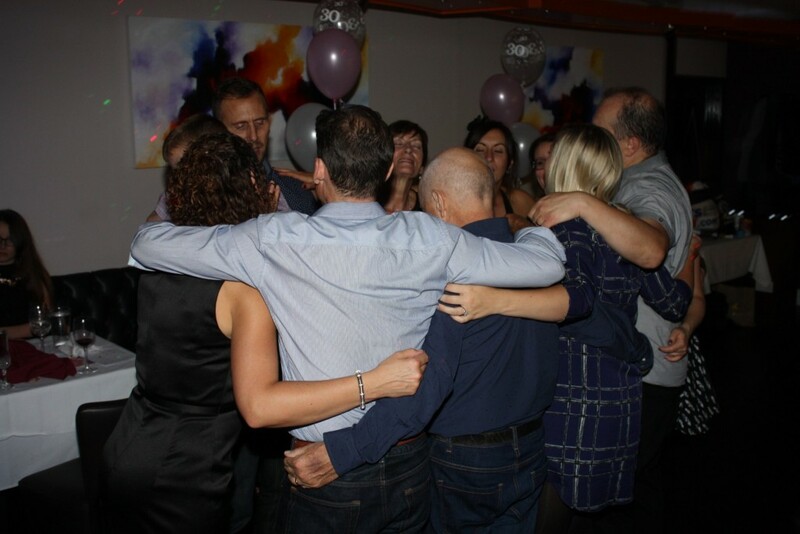 Hope to see them all again soon at another family event.